Davina McCall helped the nation give up refined sugar in her number one bestselling cookbook, DAVINA'S 5 WEEKS TO SUGAR-FREE. In this new collection of delicious recipes, she cuts through the nonsense and solves the age-old problem: we love carbs but want to lose weight! DAVINA'S SMART CARBS will love us back. -will curb cravings and stop energy slumps - no more carb binging! -are packed with nutrients and fibre to keep you looking and feeling amazing - no more bloat or guilt! 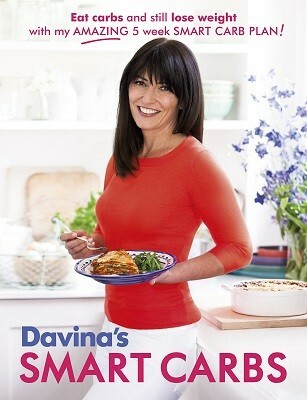 DAVINA'S SMART CARBS also includes a 5 week meal planner that will make losing weight and staying healthy a doddle. There are snacks and sweet treats, family favourites and recipes that can be freezed easily. This is real food for life. At last, the recipe book you've been waiting for: Carbs are back!